This video explains the finer points of achieving a solid shooting position when lying prone and using a bipod on the front of your rifle. The clip is hosted by retired Army Sniper James Eagleman who is the Director of Shooting Instruction at Long Range University. He does a particularly good job of explaining how to get proper “natural point of aim” behind a rifle while in the prone bipod position. Also demonstrated is the correct way to load your bipod for shot-to-shot consistency. 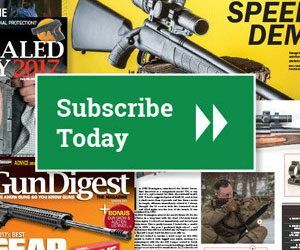 ❰Is Reloaded Carry Ammo a Good Idea?